Boston, MA – The official unemployment rate is 15.8 percent among Blacks and 13 percent among Latinos; Blacks earn only 57 cents for each dollar of White family income, Latinos earn 59 cents; and Blacks have only 10 cents of net wealth while Latinos have 12 cents to every dollar of net wealth that Whites have. 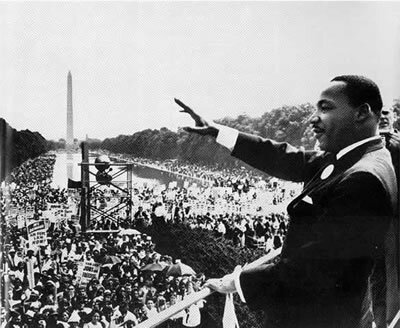 As documented in the “State of the Dream 2011: Austerity for Whom?,” this is the precarious state in which Blacks and Latinos find themselves as the nation, still struggling amidst the Great Recession, remembers the life of Dr. Martin Luther King Jr. who was gunned down while leading the Poor People’s Campaign in 1968. The 8th annual “State of the Dream” report from United for a Fair Economy analyzes the policy positions of the new House majority – shrinking government and cutting taxes for those at the top – and their implications on communities of color. “Austerity measures based on the conservative tenets of less government and lower taxes will ratchet down the standard of living for all Americans, while simultaneously widening our nation’s racial and economic divide.” said Brian Miller, Executive Director of United for a Fair Economy and co-author of the report. Original analyses in “State of the Dream 2011” show the clear beneficiaries of the top-end tax cuts included in the December tax deal. Whites are three times more likely than Blacks and 4.6 times more likely than Latinos to have incomes of $250,000 or more, and thus receive a disproportionate benefit from the extension of the Bush tax cuts for top-tier earners. Special tax breaks for investment income flow overwhelmingly to Whites as well. Blacks earn 13 cents and Latinos earn 8 cents to each dollar of White dividend income. Capital gains income shows similar disparities as documented in the report. “The deficits that these tax cuts help create are being used to justify a host of austerity measures that will harm Americans of all races, but will hit Blacks and Latinos the hardest,” adds Miller. “With 42 percent of Blacks and 37 percent of Latinos lacking the funds to meet minimal household expenses for even three months should they become unemployed, cutting public assistance programs will have devastating impacts on Black and Latino workers.” The report documents the relative importance of safety net programs under threat, such as Social Security, to Blacks and Latinos. “On the front line of the budget cuts are the state and federal workers that police our streets, educate our children, and inspect our food supplies,” adds Miller. “Severe cuts to our public sector work force will erode our nation’s ability to meet the needs of all Americans regardless of race. At the same time, the brunt of those layoffs will be felt by African-Americans who are disproportionately employed in public sector jobs for a host of historic reasons.” Blacks are 30 percent more likely to work in public sector jobs than the general work force and 70 percent more likely to work for the federal government. The report also documents the greater strides that Blacks and Latinos have made in achieving parity with their White counterparts in the public administration jobs threatened by budget cut proposals. The report – which can be downloaded at http://www.faireconomy.org/dream – calls on policy makers to reject austerity measures that will increase economic inequality and worsen the racial divide. In light of the startling facts of racial economic disparity documented in the report, additional policy steps are called for, including: increased federal aids to states and cities, effective jobs programs, restoring the progressive tax system, redirecting unproductive federal spending, strengthening workers rights, and protecting public sector jobs. United for a Fair Economy is a national, independent, nonpartisan, 501(c)(3) non-profit organization located in Boston, MA, which works to rein in extreme inequalities and promote a more broadly shared prosperity. More at http://www.faireconomy.org.